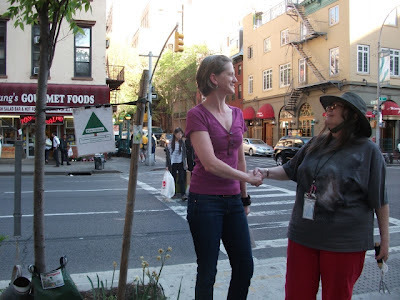 Parks311.com: Park Chelsea expands: Citywide and Worldwide! Since the opening of Park Chelsea's prototype nano-park the Thumbelina Park and Community Garden on 8th Ave at 25th Street interest has been building in expanding the concept throughout the city and the world. In this picture, Ranger Bob, Park Chelsea Parks Commissioner can be seen swearing in Park Chelsea Ranger's Stephen and Jakob. They will not only be Park Chelsea Rangers, but have also been sworn in as Park Berlin Rangers and Park Chelsea's ambassadors to Germany. Seen here is Ranger Mohinder (right). Ranger Mohinder has agreed to serve as Park Chelsea's ambassador to Park India. While not serving as our Indian ambassador Ambassador Ranger Mohinder also is the manager of the Dil-e Punjab Deli at 170 9th ave. 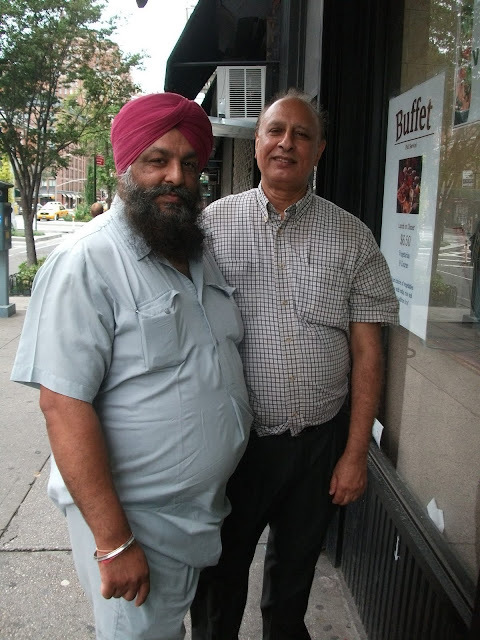 Parks Commissioner Ranger Bob as part of a wide-ranging discussion of Park's policies, has discussed with Ambassador Ranger Mohinder the possibilities of putting seating in front of his Chelsea Deli. These discussions are ongoing and we are hopeful that they will lead to a positive outcome, the installation of seating in front of his deli. Park Chelsea Ranger Craig (r) from England, (seen here with the Chelsea Gardens Clubs Guerrilla Gardner(l)), has just accepted an appointment as Park Chelsea's Ambassador to Park Chelsea's latest international expansion Park London. Park Chelsea's ambassadors to Park Holland Ambassador Herman(center) and Ambassador Christiana(left ) plant a mum in Thumbelina as Grace one of our artists in residence looks on. 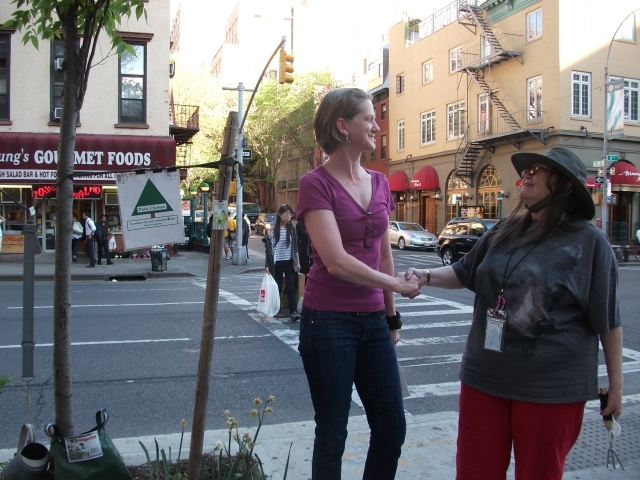 Chelsea Community Gardners- We Grow Community!